How does our Senegalese business partner Baobab des Saveurs turn the lofty-sounding principles of ‘transparency’ and ‘fairness’ into business reality? Traidcraft Exchange’s George Williams explains. Traidcraft Exchange’s Juicing Justice project is working in Senegal’s southern Casamance region to strengthen market access for small producers who harvest wild fruits from the forest[i]. At the same time, we’re working closely with two Senegalese businesses who purchase these fruits and process them into various ingredients and delicious finished products. By working in this way at both the production and processing stages, we’re seeking to develop transparent, traceable and fair supply chains where increased coordination results in quality product reaching businesses efficiently, and in small producers receiving increased and more reliable incomes. In many ways this is what Traidcraft has been doing since it was founded in 1979 – it’s part of our raison d'être; but every context is different and as a result we’re always learning. This blog aims to summarise some of the complexities and challenges faced by our business partner Baobab des Saveurs, as well as the practical ways the business is investing in the supply chains to overcome these. Pierre’s view is that it takes around five years of investment in the system before profits can flow. And, in the case of a new supply chain from small-scale rural producers, which he has been developing with the small producers of Casamance, the business may have to actually “construct the system” itself. To do so, it’s critical that you fully understand your value chain. This is not an academic exercise: it’s almost impossible to achieve without getting your hands dirty and being an active player within the chain. As well as the economics of the value chain – knowing the value and cost at each stage – it’s critical to understand and work within local cultural norms. For example, in Casamance between April and May, which happens to be within the peak production time for baobab (one of Baobab des Saveurs’ key commodities), there is a three-week period when it’s simply not possible to source product from the rural areas due to the local sacred cultural ceremonies which take place. These ceremonies happen every year, but are held each time in a different village, so it’s critical to have an in-depth knowledge of the local context to plan sourcing effectively. As the sourcing season starts, Pierre coordinates with his network of agents on the ground in Casamance. They, in turn, are in communication with the baobab producers. Thanks to the work of the Juicing Justice project, these producers are now organised into GIEs (“Groupements d'intérêt économique”, or “Economic Interest Groups” in English). The GIE groups enable greater efficiency in sourcing: the President or Secretary of each group acts as a point of contact between Pierre, his agents and the GIE group members, rather than Baobab des Saveurs having to communicate with each producer separately. Pierre drives from his processing factory in the north of Senegal to Casamance in the south, skirting around the Gambia because he refuses to pay the bribes required to access the ferry that connects northern and southern Senegal. Once in Casamance, Pierre and his agents disburse the initial payments and sacks for the harvested baobab to the participating GIE groups. Pierre is careful to disburse payments in manageable amounts, and as the GIE groups become more experienced and demonstrate their ability to source the right quality product, these payments are increased. As Traidcraft Exchange has learnt from other work in agricultural supply chains, trust is built as actors in the supply chain demonstrate their ability to deliver on the agreements they have made. Once the GIE group has sourced the specified volume of product, Pierre and his agents return to their village. They open the sacks and check the quality of the baobab “graines”[ii], checking that no shell or fibre is contained and that the moisture content is right. Sacks are then weighed using digital scales hung from trees – some of the GIE groups have their own scales provided by Baobab des Saveurs. Recorded on each sack is the name of the producer, their number (as per the system’s register), the village location, date, batch number and weight. This simple system ensures the traceability of the supply chain – it sounds simple, and it is, but it’s critically important. When sourcing from the GIE groups that Baobab des Saveurs has developed a high degree of trust with, only a sample of sacks are checked rather than all of them. Sacks are then sealed and loaded onto the pick-up and the team progress to the next village until their vehicle is packed high with sacks of baobab “graines”. These are then stored in a warehouse in a local town, and Pierre and his team go on to repeat the process many times! As Pierre explains, flexibility is critical to working in this context: as already mentioned, important ceremonies sometimes prevent or postpone sourcing, and similarly, if a funeral is held, it is customary for the whole village to attend, meaning that sourcing product is neither possible nor appropriate. Work schedules and plans have to change and adapt quickly to these realities. These are some of the ways that Baobab des Saveurs is investing in the “system.” The business provides producers with sacks for sourcing (in some cases, also providing scales), as well as covering all organic certification costs, offering advance payments and collecting directly from villages. This latter point is critical – without their own off-road vehicle, producers struggle to transport viable volumes of product out of their villages. And of course, on top of this, Baobab des Saveurs pays a premium price as a Fair Trade business sourcing organic produce. At Traidcraft Exchange we’re learning a lot from Baobab des Saveurs and our other partners, and these partnerships bring benefits to the businesses too. 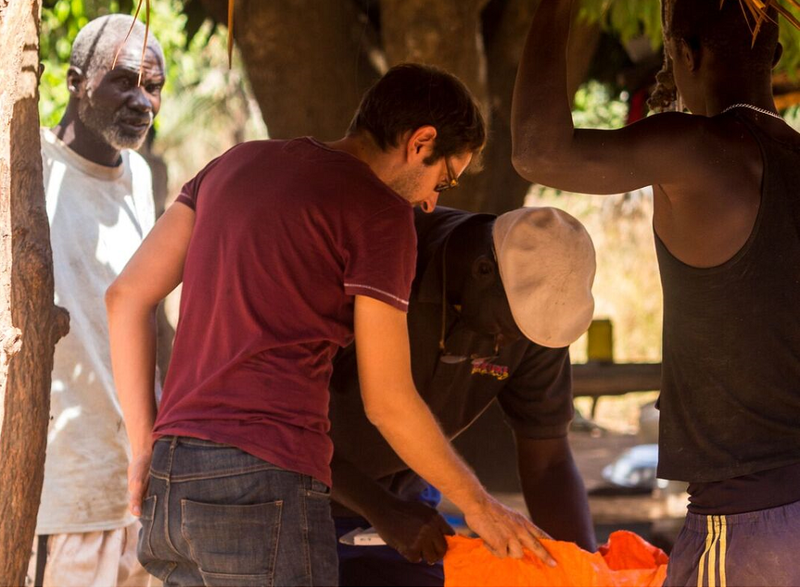 As Pierre described during our time together in Casamance, it is very difficult for a business to support producers to form into GIE groups and to provide the level of training they need – this is where Traidcraft Exchange comes in. Pierre explained that since the GIE groups have been formed in the last two years, they’re beginning to work as independent organisations, holding meetings and developing solutions to their issues. In addition, Baobab des Saveurs is already seeing improvements in the quality of the baobab sourced from the GIE groups. Previously, Baobab des Saveurs employed four staff to sort the baobab “graines” that arrive at its production unit in northern Senegal, but now they only need to employ two. This, along with the improved efficiency of transporting less wastage, represents a significant cost saving for a business selling ingredients to wholesale customers where margins are thin. Organised GIE groups also make it much easier to transfer training (e.g. on organic certification requirements) and to undertake supply chain auditing. These are some of the realities of putting terms like ‘supply chain transparency’ and ‘fair trade’ into practice. It’s not simple, it’s not easy – but at Traidcraft Exchange, we believe that if we want all people to participate in the benefits of trade, it’s these practical examples and lessons that we need to understand, document and disseminate to others. George Williams is Traidcraft Exchange’s Impact and Learning Manager. Our Juicing Justice for Farmers project is generously supported by Comic Relief. 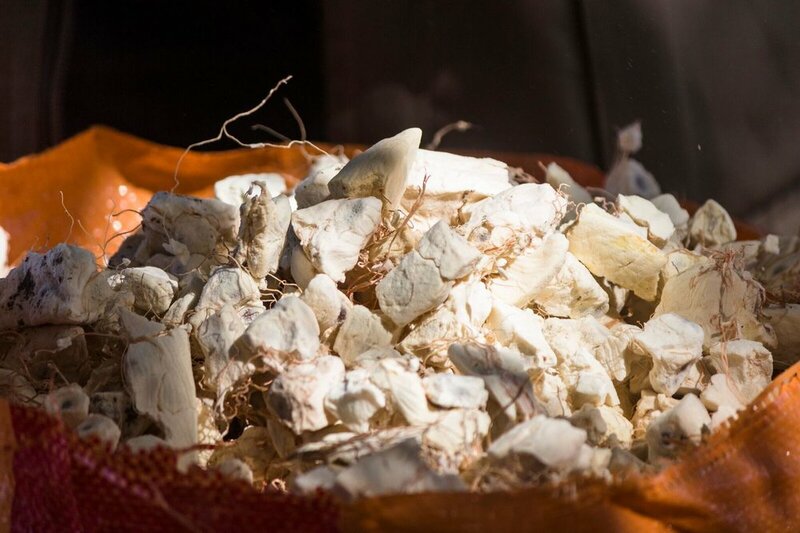 [ii] The flesh of the baobab fruit is known in French as the “graines”, which is dry and powdery. It’s the graines that contain the seeds. Baobab des Saveurs grind the “graines” to make a powder and press the seeds to produce the oil. Both are valuable products. What is the EU's new Unfair Trading Practices Directive?